Strategy Architect / Principal | BUNN Co.
Lyle Bunn (Ph.D Hon) is an independent analyst, adviser and educator in North America's Enterprise Media and Dynamic Place-based Media industry. He provides strategic and business counsel to investors, operators, suppliers and users of Dynamic Media and Media Channels in Out-of-Home environments. In 2011, Lyle was recognized with an Honorary Doctorate for his contributions to Dynamic Media initiatives and industry development. 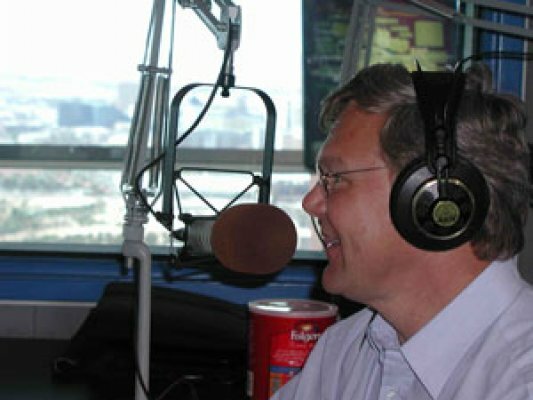 One of the industry's most highly regarded, broadly recognized and “well connected” professionals, Lyle has served as principal writer and editor of industry reports in USA Today, The Wall Street Journal and Canada's National Post and has published over 200 articles on Dynamic Place-based and Enterprise Media. 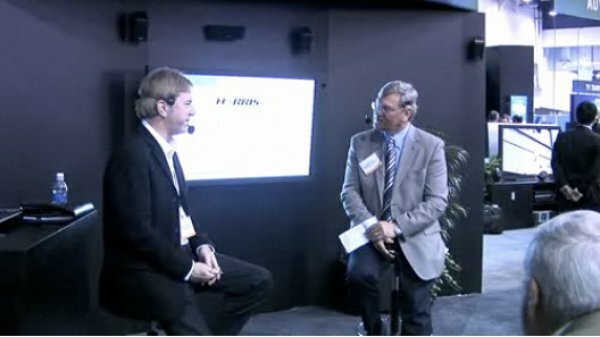 Lyle presents at every major digital signage event and is often referenced as an industry and digital signage authority. His eBook Digital Signage Planning Guide, now in its fifth edition, is used around the world. Lyle was the only individual named in the 2005 Digital Signage Top Ten List, among Thompson, 3M, Clear Channel, Focus Media and others. 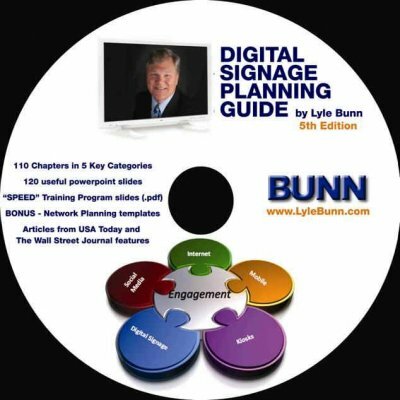 Throughout his career, Lyle has helped hundreds of organizations plan, implement, use and benefit from Digital Signage and Digital Place-based Media, and has trained thousands of professionals. Organizations that use his consulting, education and facilitation services better manage their risks, enjoy project economies and maximize their benefit from this new medium for brand, customer, patron, public, staff or student communications. Lyle was the first to take the messages of Dynamic Place-based media into the Consumer Electronics Show (CES) and the National Association of Broadcasters (NAB). He was referenced on page 5 of the NAB Executive Technology Briefing book on Digital Signage (2008) as "one of the better known and best versed" in dynamic media. 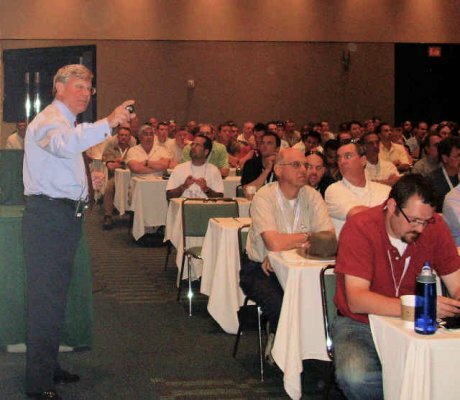 Lyle is a member of the Academy Faculty of InfoComm International (since 2005) and has presented for the National System Contractor Association (NSCA). He is a member of the Digital Screenmedia Association, the Self-Service Industry Association and the Digital Signage Federation. 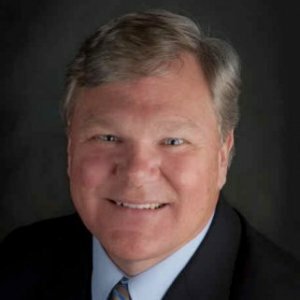 He serves on the Advisory Board of Customer Engagement Technology World, on the Consultants Advisory Panel of Digital Signage Expo and has assisted the International Sign Association as well as other organizations to deliver valuable education. The Digital Signage Experts Group working within the commercial AV/ IT industries as well as the creative community, in cooperation with manufacturers, suppliers, distributors, designers, and integrators has established an industry wide organization dedicated to providing impartial and agnostic education and certification standards programs for the complex digital signage industry, and the technologies driving it. 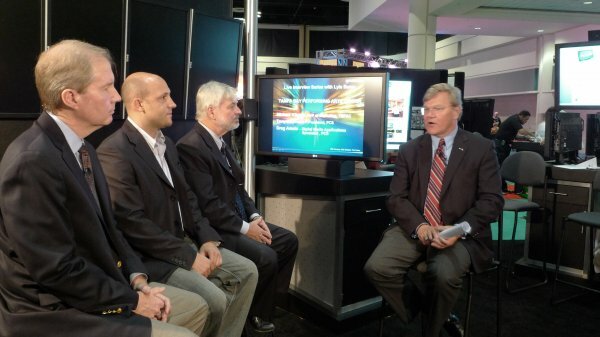 In 2011, Lyle received an Honorary Doctorate from the Digital Signage Expert Group for his contributions to the ongoing advancement and development of the Digital Signage industry through education. The Digital Signage Expert Group established the honorary “Doctorate of Digital Signage Award” program in recognition of individuals who have gone above self-interest and volunteered selflessly their personal time to advance the digital signage industry as a whole in a meaningful way. The technologies, their integration and the business practices related to digital signage continue to evolve very rapidly, as is the body of knowledge concerning industry progress and “best practices”. Through this evolution however, the design, operation and use of digital signage and dynamic media networks are increasingly focused on the best way of achieving communications and business goals. Use this Digital Signage Planning Guide to accelerate your knowledge, project and supply success. Lyle was the only individual named to the Digital Signage Forum’s 2005 Digital Signage Top Ten List, listed among such corporations as Thomson, 3M, Clear Channel, Focus Media and others. Lyle was named on the "Most Dangerous Person" in comments when a digital media editor/blogger asked who should be on the list. Lyle's status was based on his ability to spot lies, simplify complex situation and provide empowering perspectives and education that improve end user positioning in supplier discussions. 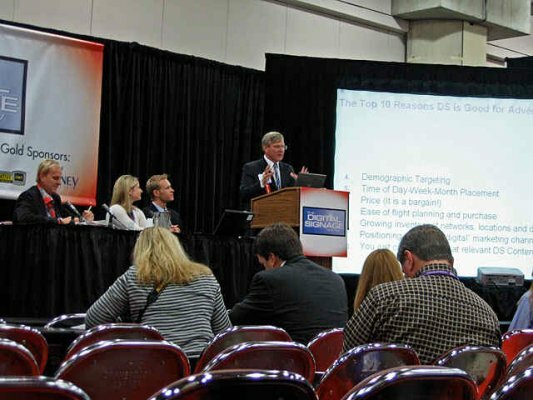 Lyle regularly receives accolades when moderating panels for the way in which he helps assure that delegates and audiences get greatest value from panelist presentations and discussions.. It is one of his professional and presentation strengths. Lyle is a life-long learner... his continuous reading, attending and asking not only allow him to keep abreast of developments, "connect the dots" and see "where the puck is going", but enable him to put trends into context as actionable intelligence. While information technologies provide a solid base for advancements, his view is that it is the enabling value of technologies that provide value. Digital signage and menu boards, both inside and outside the operation, are changing what’s possible for today’s operators. This session will focus on the various ways digital signage is being utilized across various segments of the food service industry. It will also show how this translates into significant opportunities to transform the old décor from the front counter to the dining room to the drive-thru and also generate the ROI to justify the investment. In today’s world people are constantly exposed to external messaging, whether it is in print, on TV, through the Internet or on their mobile device. To be successful businesses must find a way to leverage these mediums to deliver their message to the right person, at the right time, and through the right medium. Digital signage enables organizations to effectively control what content is received by the viewer and maximize the effectiveness of their outreach. This session will provide insight into how you can increase revenue by positioning your digital out-of-home network favorably in the eyes of agencies and advertisers. In addition, Lyle will describe ways of meeting the challenges of increasing the number of advertisers and revenue per advertiser, as well as outlining the sources of revenue. Takeaways include tactics for accelerating revenues, while reducing the costs of sales through various approaches, including the use of social media. As marketers, brands, retailers and agencies wrestle with maximizing engagement, new approaches are providing higher ROI. Lyle addresses how communications devices "owned" by an enterprise can improve branding and merchandising success while increasing the attraction to a location. he also describes how the ambiance provided by place-based dynamic media can accelerate engagement through "earned" audience-of-one media through opt-in, referrals, social media and mobile commerce. Dynamic place-based media is growing at 23% compounding annually as retailers, food services providers and consumer services providers from banks to transit improve location-based messaging. Lyle explains the "why" and the "how" is this in this insightful, entertaining, information-rich presentation about the relationship between organizations, their messaging and their patrons.